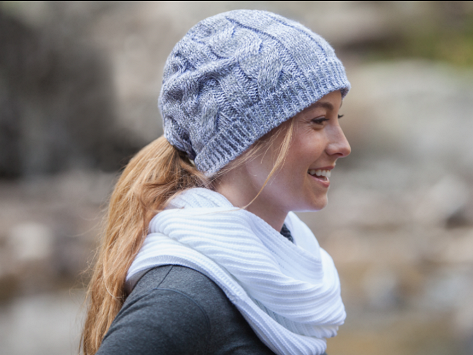 A ponytail hat with secret openings—both high and low—disguised within a cable knit twist. My wife absolutely loves them. Bought this for my daughter and she loves it. Has worn it and was very pleased. What started as a knitting mishap became a business idea for college student Danica Lause. Knit one, purl two...oops...she dropped a few stitches and ended up with a hole. Instead of throwing the hat away, she found a way to put it to good use. To her delight, she received lots of compliments and a new product was born. Today, there are no mistakes, just machine washable, hypoallergenic hats with patent pending, hidden openings for both high and low ponytails. Once you wear one, you'll be hooked.